Two of our more experienced members, Ken Campbell and Alex Nadzan, will speak on growing orchids in a greenhouse and outdoors under shade cloth, respectively. They will share their conditions and tips for successful growing a variety of orchids under a climate controlled environment and outdoors. The presentation should be educational for both experienced and novice orchid growers alike. It is a timely topic to kick off the 2019 orchid growing season as your plants emerge from their winter resting period. The plant table this month is provided by Cal Orchid of Santa Barbara. Ken Campbell and his pet pandaWhen Ken Campbell’s in-laws passed away about 20 years ago, Ken took over their modest orchid collection, which consisted primarily of cattleyas. Being an engineer at heart, and always willing to accept a new challenge, the first thing he decided he needed to do was to build a greenhouse... and as they say, the rest is history. 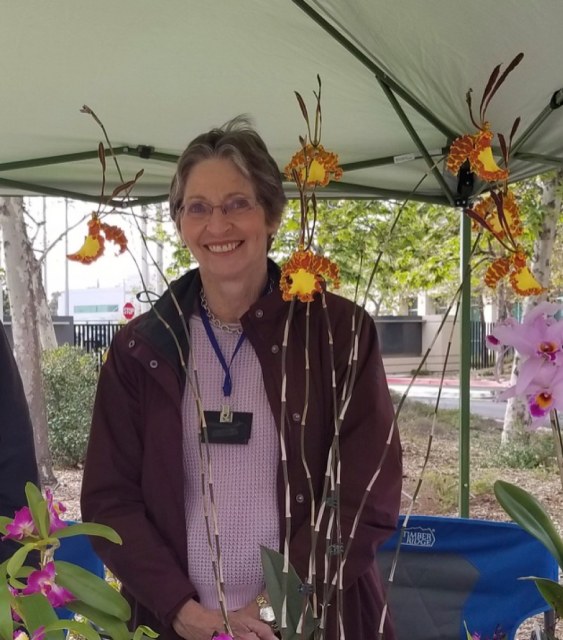 John OswaltWe are delighted to welcome John Oswalt, second VP of the SD County Orchid Society, who will speak on ‘Lessons Learned from Growing Cymbidium Orchids’. John’s talk will highlight his experiences in growing and repotting cymbidium orchids and provide useful tips to both new and experienced orchid growers. This is a very timely talk as winter and spring are the main times for cymbidium flowering and the ideal time to divide and repot them is shortly after their blooming period. This month’s plant table will be provided by Casa de las Orquideas. John Oswalt began growing orchids over 40 years ago when he was in high school. After college, he put this hobby on hold due to a demanding career and corporate relocations. After John retired in 2012, he embraced his hobby again in a big way. John grew a collection of orchids in Atlantic Beach, Florida and then moved his collection to San Diego in 2016. 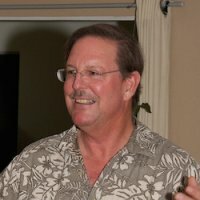 John was a member of the Jacksonville Orchid Society and now serves as second Vice President of the San Diego County Orchid Society. John has two greenhouses that are temperature and humidity-controlled year-round. He also has a large outdoor shade area. John has a broad collection of orchids, but particularly enjoys growing Cattleya Alliance and Cymbidium orchids. He has had good success with his plants and has many practical lessons to share. This month’s opportunity table will be provided by Casa de las Orquideas. Brandon TamIt is our distinct pleasure to welcome back Brandon Tam as our first speaker of 2019. 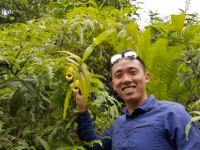 Brandon will talk to us on "Wild Orchids of Ecuador" which resulted from a trip he took in May, 2017 that included Harold Koopowitz and others on a trek in Ecuador led by Pepe Portilla (President of Ecuagenera), where the group saw many wild orchids and focused on the study of Selenipedium aequinoctiale. Brandon’s presentation is a multimedia talk that includes both photos and videos of his trip highlighting the diversity of orchids found in Ecuador as well as the interesting local cuisine and a visit to the expansive nurseries of Eucagenera, which supplies thousands of orchids to countries around the world. This is a very exciting and educational presentation not to be missed. Alex has seen the talk twice and it is, in his opinion, one of the best travel orchid talks he has seen over the years. 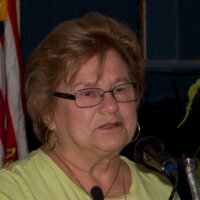 We are delighted to have one of our own longtime members, Phyllis Prestia, speak at our November meeting. She will talk on ‘Wild Orchids of France’ and her educational presentation will highlight her trip through the woods, meadows, and spectacular gorges of France in search of the spectacular and often elusive native terrestrial orchids. Having trekked extensively in France over the last five years, Phyllis will present several genera through photos taken in situ of the habitats where they grow and are being conserved in the wild. Both species and natural hybrids will be included. The beauty of the landscapes and these gorgeous orchids will be memorable. The November plant table will be provided by one of our local orchid growers and Phyllis will be selling some of her own orchids at the break. Angelic NguyenWe are happy to welcome Angelic Nguyen to our society as our October speaker. Angelic’s topic will be ‘The Fascinating Orchids of Vietnam’ where she will provide us information on established and new species identified from Vietnam. Angelic emigrated from Vietnam to the US in 1990 and has been growing orchids for over 20 years. 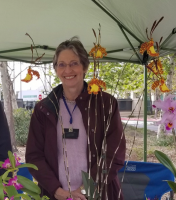 She started her company, Orchid Design, in 1999 located in San Jose, CA and sells a variety of orchids at several orchid shows throughout California. Angelic grows several varieties of orchids including hybrids and species of cattleyas, phalanopsis, laelias, dendrobiums, oncidiums, paphs, phrags, lycastes, bulbophylums, and vandas. She also has several rare cymbidiums, including standard, pendulous and peloric, and has done some hybridizing of cymbidiums, laelias, and cattleyas. She will be providing the plant table this month. Tanya LamIt is a pleasure to welcome to our society for the first time Tanya Lam. Tanya hails from San Jose, CA, where she has been growing orchids since 1997. Tanya will be speaking on ‘ Helping your Orchids Thrive in Challenging Environments’. Since Tanya leads a very busy life juggling a full time job, frequently traveling for business, taking care of her family as well as her large orchid collection, she has had to develop successful conditions to grow her orchids to accommodate her life style and minimized the loss of plants during her travels. After seeing orchids growing in their habitats in Thailand, Brazil, Ecuador and China, Tanya was determined to improve her growing conditions to overcome her environmental challenges. This required her to develop orchid mixes that would stay moist for 7-14 days and she also worked to also improve her greenhouse operations. Tanya’s current collection is now improving with her successes, and she continues to try growing many species that she avoided before. 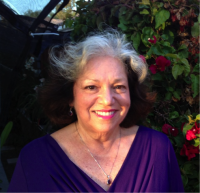 During her talk, Tanya will share everything she does to make her collection thrive in San Jose, including how she waters, heats, cools and fertilizes her orchids. She also will provide the plant table this month. Peter LinWe are delighted to welcome back Peter Lin to our society. Peter is an excellent speaker who is quite knowledgeable on many classes of orchids, their growth and culture. Peter will speak on "Favorite Fragrant Orchids". Along with the beauty of the flowers, many orchids have an alluring fragrance that is hard to beat in the plant world. This fast paced PowerPoint presentation will highlight some of Peter's favorite orchids with truly fragrant flowers, and how to grow them. Peter started growing orchids over 30 years ago, but then stopped due to school and starting a career. It wasn't until about 14 years ago that the orchid "bug" came back and he is now heavily involved once again. 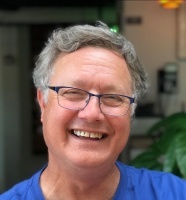 He is an accredited judge with the American Orchid Society and a hybridizer of mini-catts. He enjoys meeting with other orchid enthusiasts, and can often be found at various orchid shows and societies around the country. He also has hundreds of photos of his orchids that he maintains on Flickr. Debby HallidayWe are pleased to welcome back Debby Halliday as our July speaker. In her talk titled "All About Phalaenopsis", Debby will be talking about Phalaenopsis and how to be successful in growing and reblooming them. She will also give a repotting demonstration. These days Phals are often a person’s first orchid and, if they can grow and rebloom them, they will always enjoy orchids. Debby will focus on discussing how and where these beauties grow naturally so that people gain an understanding of the plant’s needs rather than just trying to memorize a list of Do’s and Don’t’s. 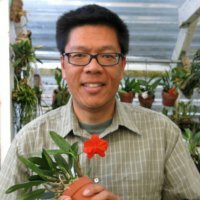 This lecture is geared to newer orchid growers, but hopefully everyone will find some useful tidbits they didn’t know before.